The little girl made me smile. Crowd moving toward Michigan Ave. Being part of this epic movement of women and people across the world marching to battle racism, hatred, sexism, misogyny and xenophobia, I felt energized. Like in the past, I’ve felt united with my people, however this massive event makes the other protests look small. I saw people of all ages walking, chanting, singing some Aretha Franklin songs and capturing the moment. Of course, though, the signs were the best. 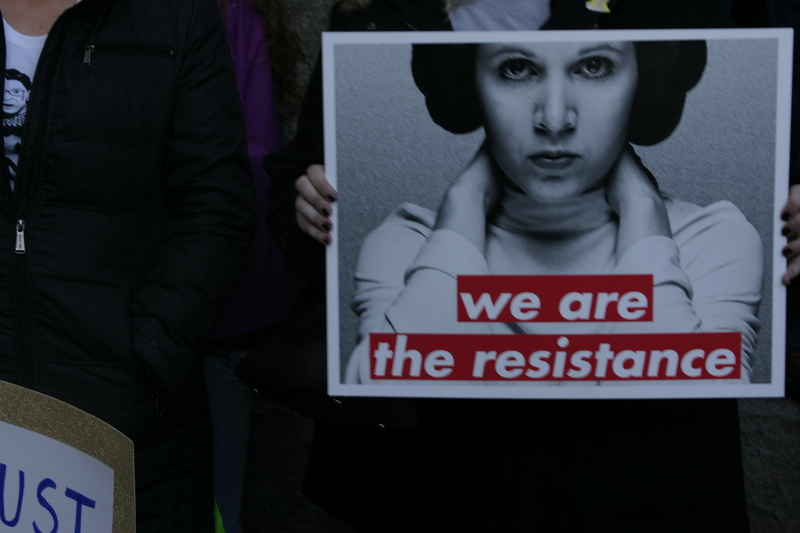 We saw Carrie Fisher make an appearance, men reminding everyone that they can be feminists, too and of course the epic Shepard Fairey posters that came in every size. Thanks for taking a look. Leave a comment. Share your photos, too!